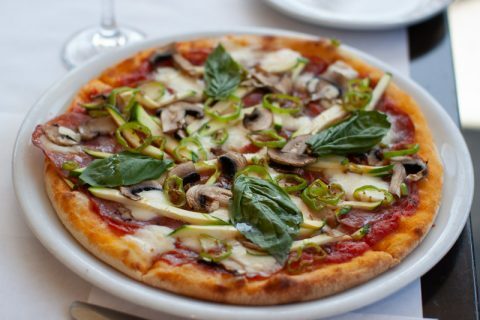 For the month of June we bring you a pizza that’s simple and delicious. Homemade pizza dough covered with our pizza sauce and the gentle salted taste of Genoa salami, mushrooms and the spicy kick from Cubanella pepper rings. This creation is also showered with perfectly melted Fior diLatte cheese and zucchini strips, and let’s not forget the fresh taste of basil. This pizza’s flavours are sure to please.